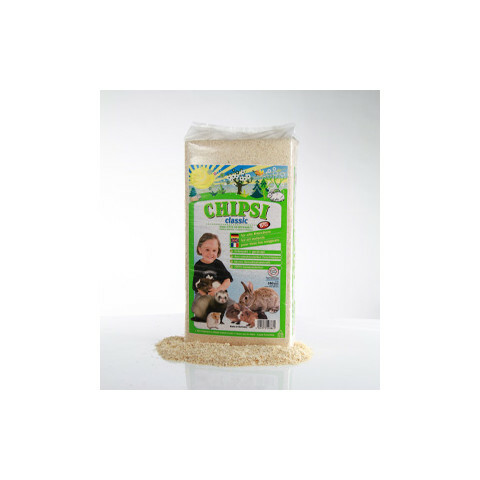 Chipsi classic pet bedding woodshavings is a great natural pet litter and bedding and is great for use with all small animals including hamsters, gerbils, mice, ferrets, rabbits, guinea pigs, chinchillas and degus. The Chipsi classic dust-free softwood chips ensure a fluffy, hygienic nest. The natural Chipsi classic woodshaving chips are absorbent, retrain odours and provide a pleasant, animal-friendly environment. Your pets will thank you for it!